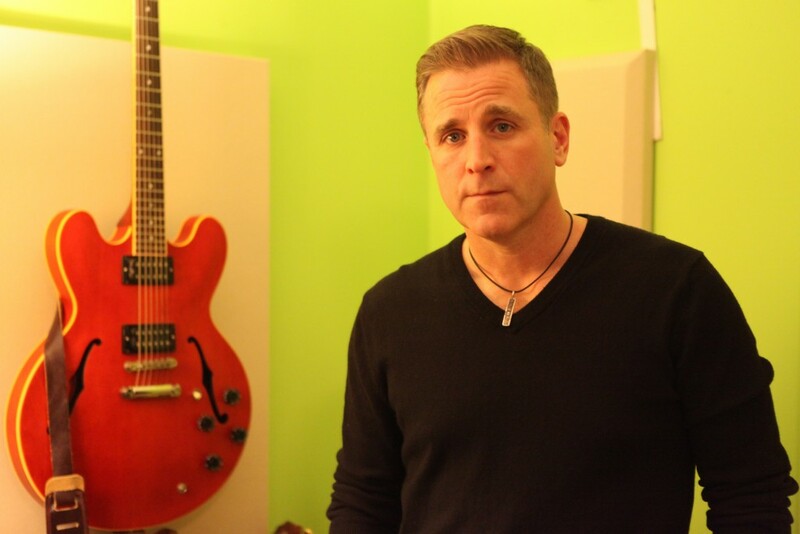 This past Friday, Sean McCann committed a cardinal sin: He called in approximately 15 minutes late for his interview with The MusicNerd Chronicles. “I am so sorry. I was outside shoveling off the rink for the kids,” McCann apologetically notes. Pffft. The oldest excuse in the book. Of course, I’m kidding. Since stepping away from multi-platinum Celtic band Great Big Sea last year, McCann is boasting a fresh outlook on life. He spoke with me about his fantastic, honest new record, Help Your Self, as well as what inspired his major shifts in how he approaches living and how he is working to uncover happiness. Not to slight any of your previous work but you seem to be considerably more focused with this new record. What do you attribute that to? I’m 46 years old and have always worked hard. But no matter how hard I worked, I was very unhappy. Some of it was related to business but mostly, it was my own fault. I came to the realization that if I’m unhappy, I should make the necessary changes to make myself happy. It was quite an eye-opening revelation. Was it hard coming to terms with the fact that you were a part of one of Canada’s most successful bands but were still miserable? Of course. And what I did to remedy that was to drink. It was the kind of thing that would make me happy for a short period of time, followed by serious unhappiness in the form of a hangover. Frankly, I just got tired of that cycle. My treatment just wasn’t working and so I quit drinking two years ago. I was never really able to face what was really bothering me when I was drinking. It wasn’t easy and it wasn’t without pain but I really do feel as though I have made a giant leap forward. I feel changed. I genuinely feel happier. I am glad I took the steps I did. It’s safe to say that I am probably past the halfway point of my life; I want to make the rest of my life positive. How tough was it to walk away from Great Big Sea? There is a lot of security in staying with a band as popular as Great Big Sea is. It was never really about that for me though. We were a good band but it is to be expected that over the course of 20 years, people are going to change. It started to feel like work and when you are not engaged with what you are being paid to do, you start to do the bare minimum just to hold onto your position. It played into my being unhappy quite significantly. I knew Great Big Sea wasn’t the place for me to stay. Were you concerned with releasing such a personal record as you’ve done with Help Your Self? Not everyone would be willing to lay everything on the line as you have done. It is a very personal record; there is a lot of myself in the subject matter. I don’t think that I could have written a record like this had I not lived it. I am proud of what I accomplished with Great Big Sea but this record is about me and what I went through. Since the record was released, it has been connecting with people maybe more than anything I have ever done. The record comes from a dark place but I am absolutely thrilled with the results and feedback I have been receiving. Being this open might not be for everybody but at some point, you really have to just walk through that fire and come out on the other side. I know I will be stronger in the long run. This is the first time in a very long time that I have been so engaged and close to the action. When someone buys the record, I get an immediate note and instant feedback on what they think. It is easy to get complacent when you have someone else doing all of the work for you but I really do find it thrilling to be involved at this level again. I really missed it. I had been away from it for too long. Are you going to be taking Help Your Self on the road at any point? I have never been someone who has wanted to be under the lights all of the time. I am fine with not getting up in front of crowds but that being said, if people are interested in hearing these songs live, I would love to get out and play some shows. No bells or whistles. Just the music. I can’t think of anything better.